ENTREPRENEURS WORK 365 DAYS A YEAR. TAKE ONE DAY TO CELEBRATE AT THE SMALL BUSINESS BC AWARDS. 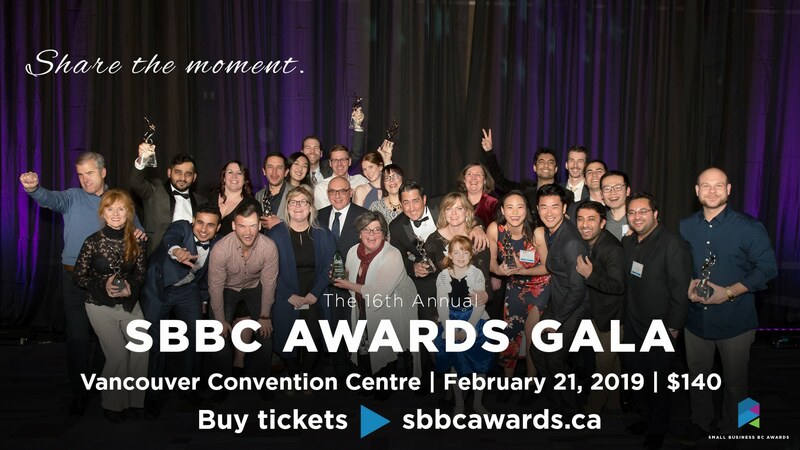 On February 21, 2019, 600 entrepreneurs, government officials and business leaders gathered at Vancouver Convention Centre for the 16th Annual Small Business BC Awards. During a glittering gala ceremony, we crowned the 10 businesses demonstrating leadership in their respective fields. Find out who won the 2019 Small Business BC Awards. Find out who won the 2019 Open for Business Awards.